In a small bowl, combine ketchup, mayo and chile sauce. Mix together, cover with cling wrap and place in the fridge. Place ground beef, BBQ sauce and garlic in a bowl and mix together. Shape into 6 equal patties, cover and refrigerate for 20 minutes. Heat a large pan over medium and melt butter. Season both sides of the burger patties with salt and pepper. Working in batches, fry burgers, 4 minutes per side. Top cooked burgers with a slice of cheese and place on a baking tray in the stove to melt (4 to 5 minutes). While cheese is melting, fry pineapple slices in the same hot pan, about 1 1/2 minutes per side. At the same time, heat a clean pan over medium, melt remaining tablespoon of butter and fry eggs over easy until whites are fully cooked. 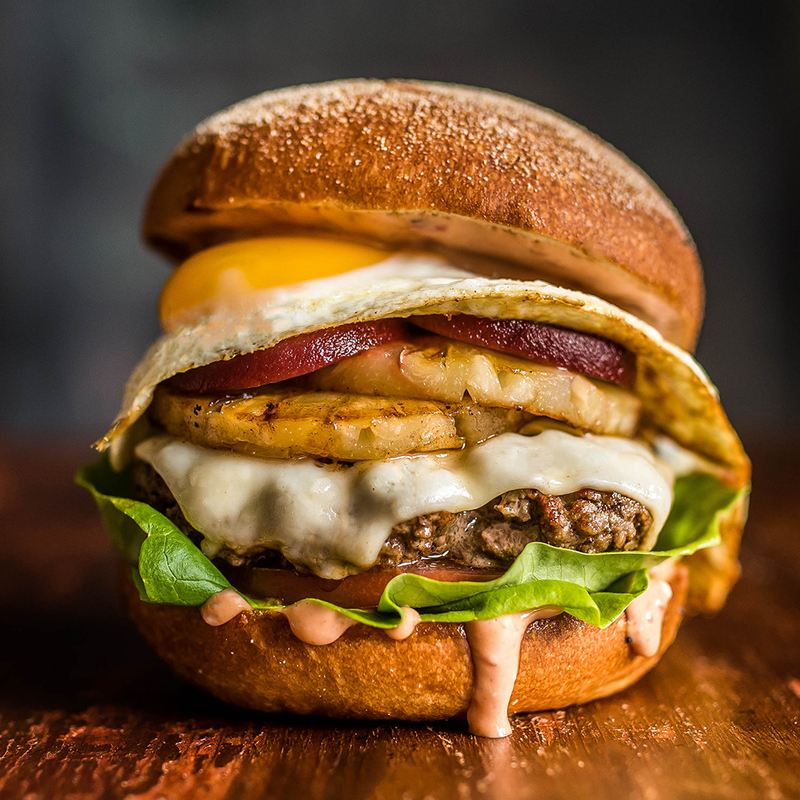 Build each burger with 1 tablespoon of sauce, lettuce, 1 tomato slice, a burger patty, fried pineapple slices, pickled beets and a fried egg.